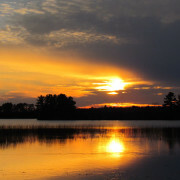 Whether you are visiting the Iron Range for one day or for many, you can find fantastic sites to enjoy. 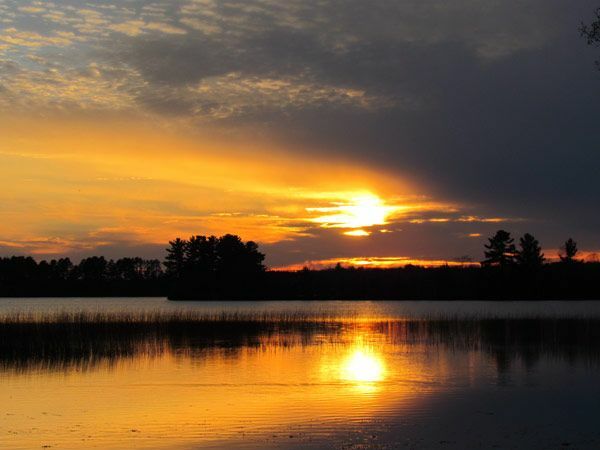 We have done a little prep work and have compiled a list of must-see stops that you can discover during your next leisure trip into the great outdoors of northern Minnesota. Take some time to peruse through the ideas we have listed below and get ready to experience the full adventure of the Range. 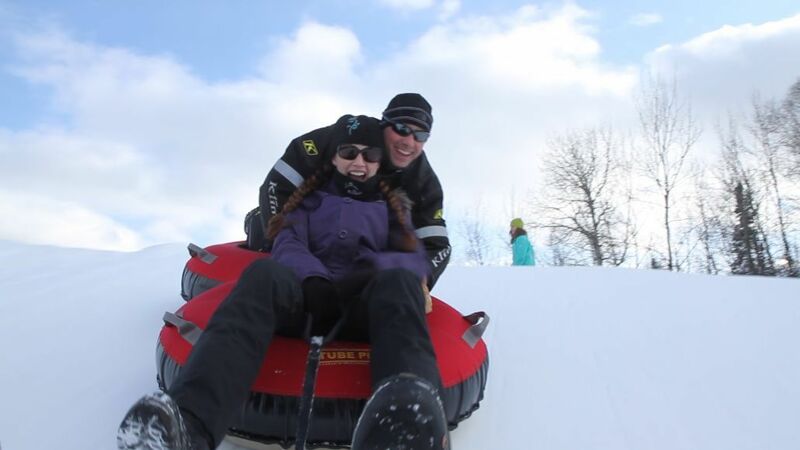 Here are some of the top five favorite things to do when it warms up! Museums and Historic Sites: That’s right, free admission to the interesting and educational – and that’s just the wonderful staff! The exhibits are great, too. Best of the best: Hibbing Area Historical Society Museum, Virginia Heritage Museum, Olcott Park Greenhouse, Nelimark Homestead Museum. Trails: These trails are perfect for an afternoon hike. Pack a lunch, maybe even a fishing pole, and get out into nature on these family-friendly trails. Our faves: Cary Lake Trail, the trails of Giants Ridge, and the Laurentian Divide trails. 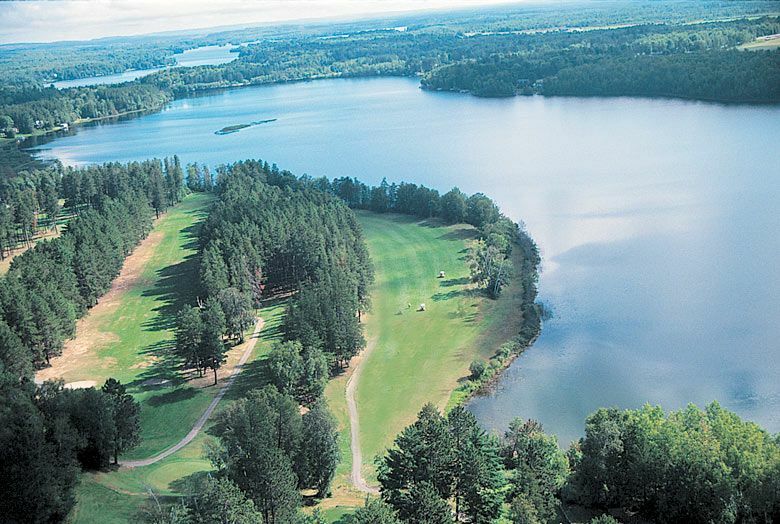 Viewpoints: From Skibo Vista’s views of the Superior National Forest and beyond, to Leonidas’ panoramic of communities, minelands and forests, to Finntown Overlook, where you’ll see a vast mine lake, these views are not to be missed! Photo Ops: Take your pic with an iron man, a moose or a giant hockey stick at these made-for-selfies stops across the region. Take time for seriousness, too, when you visit two veterans memorials along the way. Get in the Groove: Stop by Biwabik on a Thursday evening and you might catch some free music in the park. Check out all the great events happening around the region this summer! 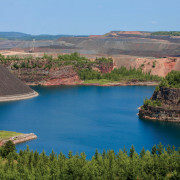 Depending on your penchant for history, an entire day can be spent in Hibbing and Chisholm experiencing an “in-depth introduction” to mining heritage and local history. 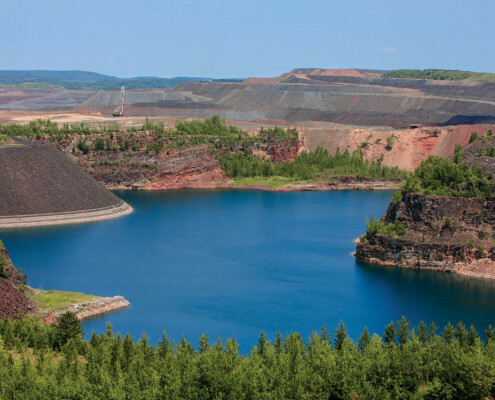 Begin the adventure at Hull-Rust Mineview in Hibbing, where a sweeping view overlooks an active iron ore mine, one of six in the region. 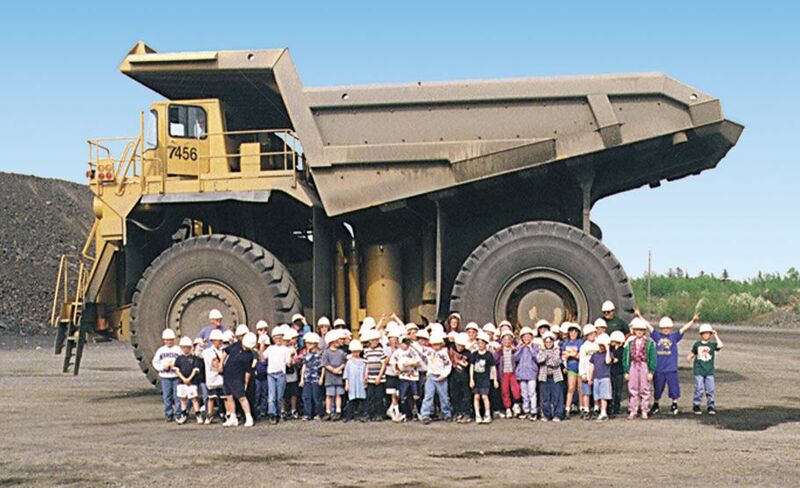 See the massive mining equipment – shovels, “haul trucks” and more – working to extract and move rock from the pit to the crusher. 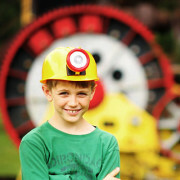 Friendly and helpful volunteers can share stories and provide information about the mining process to the curious learner. Hours 9-5 daily during the season – no admission fee. Nearby, the Greyhound Bus Museum explores the history of the nation’s most venerable transportation company. Greyhound’s intra-city bus lines originated in Hibbing with a car salesman-turned-entrepreneur’s idea. Open daily mid-May-Sept 25; group rates available. In between both locations, stroll or cruise the streets of “old Hibbing,” where the town was first built. Interpretive kiosks tell the story of how the village was moved to make way for mining. Explore the theme further at the Hibbing Historical Society Museum. A Hibbing walking tour brochure with audio component illuminates historic buildings, including singer/songwriter Bob Dylan’s childhood home and former haunts (or, experience with step-on guide). Call Iron Range Tourism Bureau to arrange. Allow 1.5 hours. Historical Society Museum free; tours call for times. A favorite stop is Hibbing High School, built in 1923 for the grand sum of $4 million and listed on the National Register of Historic Places. Guided tours are a must to appreciate the history and grandeur of the building. Allow 1.5 hours with guide. No admission fee. At any point during the morning’s tour, enjoy breakfast pastries from Sunrise Bakery, en route between the Greyound Bus Museum and the Historical Society Museum. Pick up locally-made pasta in flavors from roasted red pepper lasagnetta to pesto linguine, and purchase ethnic delights such as potica, antipasto and more. Didn’t find a souvenir at the Hull-Rust Mineview gift store? South of Howard (SoHo) boutique on First Avenue features works by local artists and collectibles. Enjoy a late lunch buffet at Sammy’s Pizza, a landmark regional restaurant brand founded in Hibbing. Lunch at Valentini’s, a vintage supper club in Chisholm dishing up authentic Italian cuisine, is another nearby lunch option. Next, head to Minnesota Discovery Center in Chisholm, just a five minute drive from Hibbing. 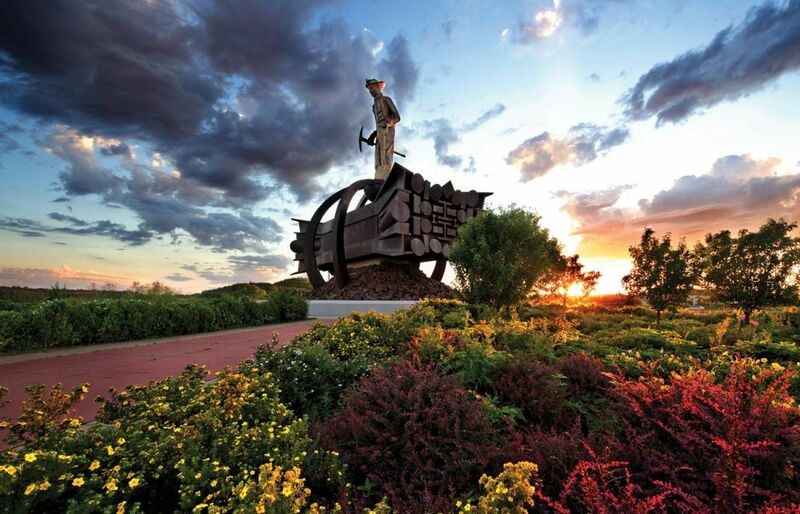 Open year-round, this one-of-a-kind facility is the Museum of the Iron Range, with exhibits that highlight the land, people and mines of the region, from pre-history to today. Make plenty of time to explore exhibits and even take advantage of free access to genealogy websites at the Iron Range Research Center, a library and repository for historic documents that is part of the museum complex. 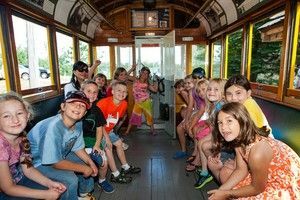 All ages enjoy a ride on Minnesota Discovery Center’s vintage trolley (at one time a common form of transportation in the region) to a mining ghost town. 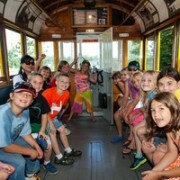 Guided tours and add-ons such as demonstrations, meals, and films are available. Allow 2 to 2.5 hours with trolley ride. Late afternoon or free-time: relax or explore the Mesabi Trail, a 110-mile paved trail linking the communities of the Iron Range to the Grand Rapids area. Interpretive signage along trail highlights scenery and sites. Ideal for walking or bicycling. Bicycle rentals and shuttle service available through Giants Ridge Recreation Area. Holiday Inn Express & Suites in Mountain Iron (14 miles east of Minnesota Discovery Center) will provide cocktail reception. Dinner at local restaurants. 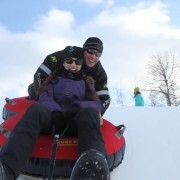 Entertainment, including story-telling, music, demonstrations or lecture arranged through Iron Range Tourism Bureau. The Iron Range region of northeast Minnesota includes 12 communities from Hibbing in the west to Hoyt Lakes in the east. 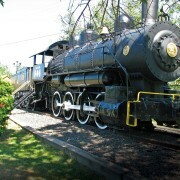 With historic sites, scenic views and trails to explore in each town, a daytrip might not be enough time! But these “must-sees” will please the history buff and the nature lover in you! PLEASE NOTE: THIS SITE IS CLOSED FOR RELOCATION, SUMMER 2018. PLEASE CALL 218-749-8161 FOR UPDATES. Enjoy a tour of Hibbing with a step-on guide available through Iron Range Tourism Bureau, then explore the famed Hibbing High School, built in 1923 at a cost of $4 million. Global resources were tapped to install marble, crystal and stonework embellishments throughout the building, and artists commissioned to create murals. A guide is a must. Allow 2 hours for city tour and high school. 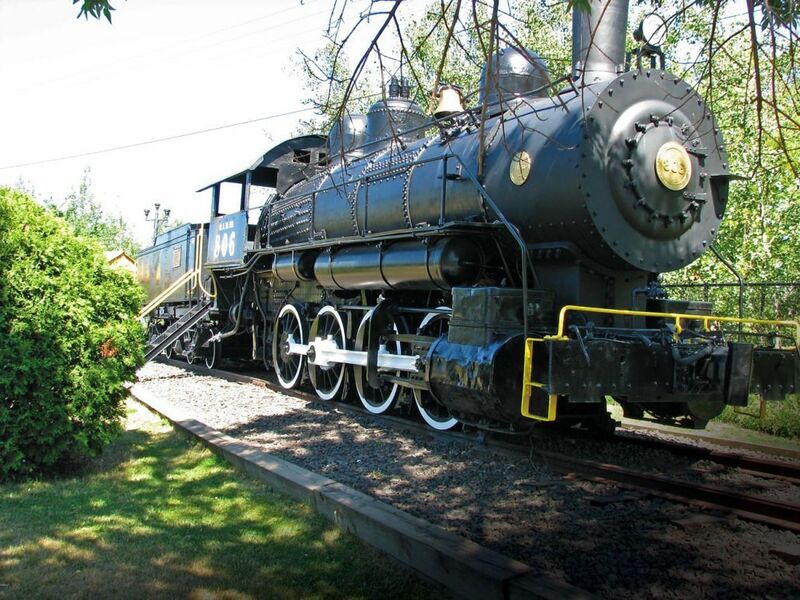 Travel five miles to Minnesota Discovery Center, Minnesota’s museum of the Iron Range, where you’ll enjoy lunch and more. 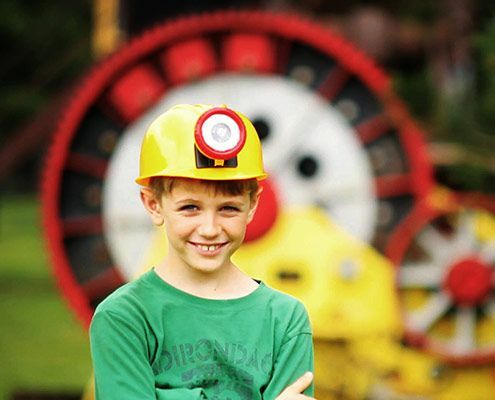 Explore indoor and outdoor exhibits that tell the story of the land, the people and the mines of the region. 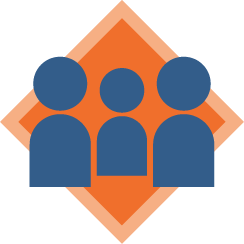 Make time for a crash course in genealogy research at the onsite library and research center, with free access to online genealogy websites and helpful research librarians. Tour the archives, see a film, watch a weaving or cooking demonstration – there are many add-on options at the museum. Be sure to take a trolley ride to a mining ghost town. A tour guide is a must here. Allow 3 hours minimum with lunch. 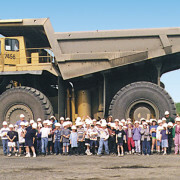 As a group or an option while at the Discovery Center, arrange for a bus tour of Hibbing Taconite, the working mine visible from Hull-Rust Mineview. This is typically a 1.5-hour tour departing from Minnesota Discovery Center (travel time to mine: about 10 minutes) but can be customized. 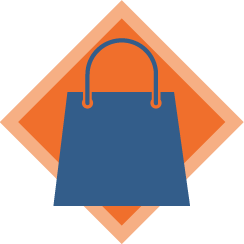 En route to your accommodations at The Lodge or Villas at Giants Ridge in Biwabik, visit Irma’s Finland House, a treasured gift store specializing in Scandinavian items. After a little shopping and check-in, stroll the grounds of Giants Ridge Recreation Area or enjoy a beverage on the patio. 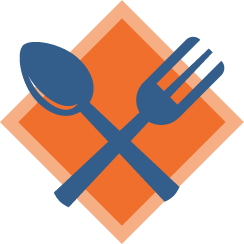 Dinner at The Lodge can be accompanied or followed by entertainment or a presentation, arranged through Iron Range Tourism Bureau. 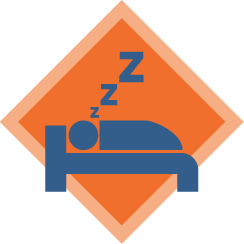 Begin Day Two with breakfast at The Lodge at Giants Ridge, then travel to Eveleth for an hour of hockey history immersion! Understand the contributions of this small community to hockey lore at the US Hockey Hall of Fame Museum. 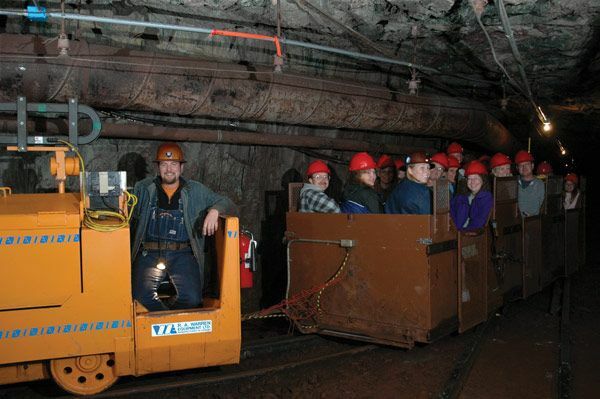 From there, travel to Tower, a 30-mile drive ending at the Soudan Underground Mine State Park. 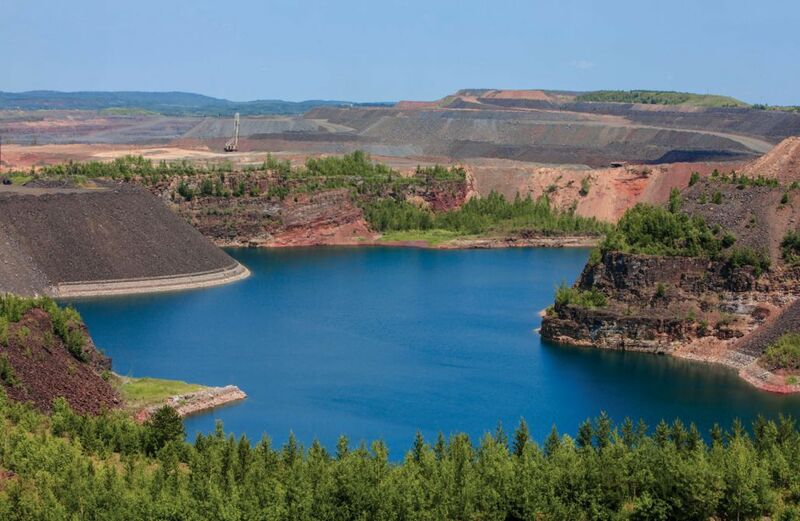 You’ll have the option of tours a half-mile below the earth’s surface at this historic site, the first mine on the Vermilion Iron Range. One tour takes you through mined areas in an ore cart running on rails! The other is a tour of a high energy lab deep underground. Explore buildings and trails above ground before you depart for Fortune Bay Resort Casino. Group rates and gift stores available at both locations. Visit the Heritage Museum to learn more about the customs, history and legends of the Bois Forte Ojibwe before enjoying an afternoon of gaming followed by dinner at the casino restaurant. For those who prefer to stay outdoors, canoe and paddle boat rentals are available for exploring Lake Vermilion. Return to Giants Ridge via highway 135 and pass through “the nation’s cold spot,” Embarrass. On your final day, make time to fully enjoy the outdoors! Onsite bicycle rentals make it easy to explore the 100-mile paved Mesabi Trail that winds through the property. Or just stroll along the trail past two lakes and over a river. Hiking trails are also located at Giants Ridge along with paddle board rentals (arrange for lessons! 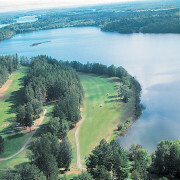 ), and two world-class golf courses. Lunch at the Wacootah Grill onsite before your departure to the North Shore of Lake Superior via Superior National Forest Scenic Byway (watch for wildlife!). 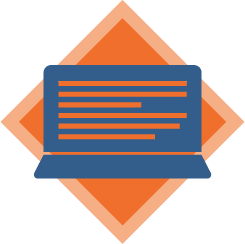 An optional activity such as lecture, demonstration or nature walk could be offered. Contact Iron Range Tourism Bureau. 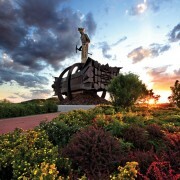 Minnesota Museum of Mining in Chisholm – exhibits on community, mining and area history. Group rates. 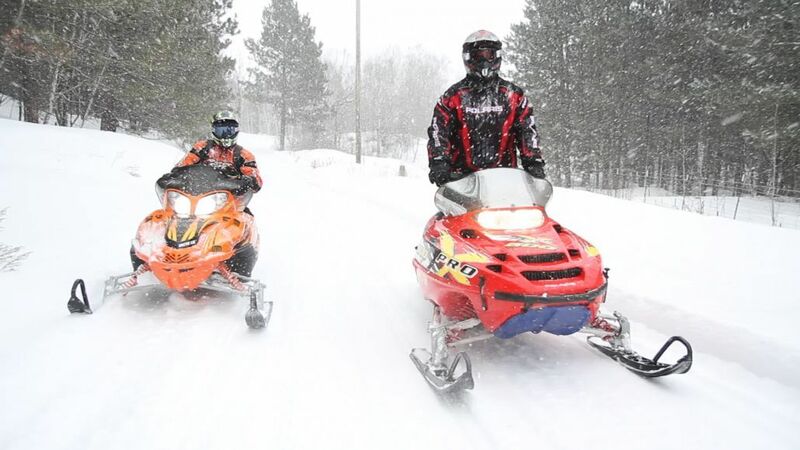 The Iron Range offers hundreds of kilometers of cross country trails, from 60k at Giants Ridge to 22k at Carey Lake in Hibbing, or 16k just off the Superior National Forest Scenic Byway near Hoyt Lakes. 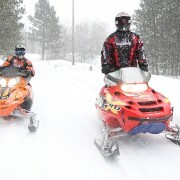 Let the calm of our snowy backwoods revitalize you, and relax fireside at your cozy villa, suite, condo or guest house. Request our all-in-one map of a half-dozen nordic ski trail systems. Birders can check multiple species off their life lists in the Superior National Forest and Sax Zim Bog. Boreal chickadees, spruce grouse, great gray owl and gray jay are among the birds found in this special place. Stop by the visitors center in winter for tips and maps, and join 150 birders at the annual Sax Zim Bog Birding Festival, held in February each year. When you’re ready to hit the road, download Iron Range 101. 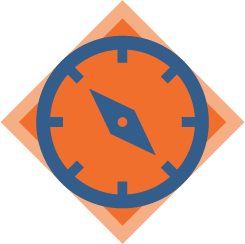 This handy guide will provide valuable insights, directions, and explanations to help maximize the time you have to spend exploring this incredible region.